Having just finished Carte Blanche, the 2011 commissioned novel written by Jeffery Deaver that updates James Bond for “OO” British Secret Service readers, I couldn’t help but notice the re-introduction of one Felix Leiter. The CIA character, the longtime friend and occasional sidekick of OO7. 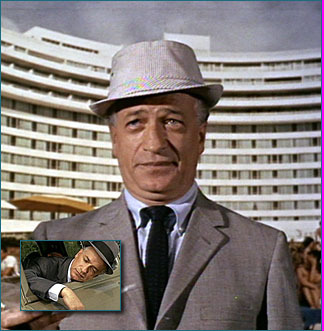 Deaver, who recently received the Lifetime Achievement Award by the Mystery Writers Convention at this year’s Murder at the Beach, overhauled Felix while he was at it with Bond for the post-9/11 (and 7/7) world. Like the book overall (my audiobook read by the talented and one-time Bond villain Toby Stephens), it was cleverly done. The side character of Leiter, though only in ten of the twenty-four Bond productions (including the non-EON Never Say Never Again) to-date, mostly received cursory treatment on film. A name-drop cameo for those who’ve read a treatment or two. But on occasion, a filmmaker throws him a bone and lets the persona shine through a bit. Though never to the extent his British cousin would feel threatened. My lone caveat in all this is I blame no actor in my ranking. It’s the directors and, more likely, the producers who should be for a few of the dead-on-delivery Felix Leiter portrayals over the years. As seen over the fifty-plus years of Bond, James Bond, almost the same number of actors have portrayed ol’ Felix onscreen. A few performing quite well, but most overlooked (as I suspect producers intended him). So before Christmas and the end of the year celebrations takeover, and purely as another arcane exercise in what I’ve come to call excessive Bond minutiae (eBm™, for short), I’ll rank my favorites (warning: some spoilers ahead) for the fictional American spy counterpart created by Ian Fleming in the venerable movie series. Might as well start with my least favorite and get it out of the way. John Terry‘s portrayal just never meshed with Timothy Dalton’s Bond in The Living Daylights. It was great he appeared to match up in age with OO7, as it should be. However, the role was never fleshed out enough and way too brief to mean anything onscreen. What can I say? Well-known character actor Norman Burton‘s Leiter offered little improvement for the role in the film featured as Sean Connery’s return as James Bond, Diamonds Are Forever. Good cover, though. Who’d suspect a guy who looked like a middle-aged used car salesman as a CIA operative, anyway? 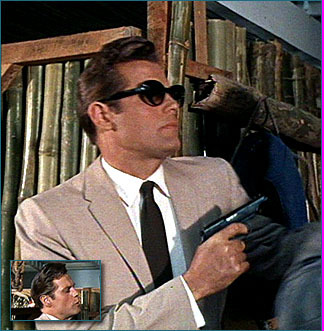 The highly anticipated fourth Bond film, Thunderball, returned fans to a more characteristic Felix Leiter portrayal with the casting of Rik Van Nutter. 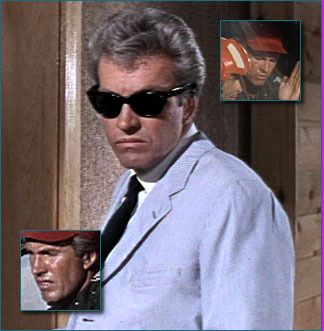 The guy looked the part, right down to those essential spy shades he wore (even at night). Too bad the little used actor (married to Anita Ekberg at the time) wasn’t given much in dialogue or scenes to work with. Believe it or not, producers decided to recast the role away from Jack Lord, initially with another Canadian, Austin Willis. Cec switched roles with him at the last-minute, so it was Willis who was cheated playing cards with Auric Goldfinger in Miami. It pains me to say my all-time favorite movie in the series, Goldfinger, had only the modest actor Cec Linder in the role. Yet, though he represented a more frumpy persona producers painted themselves into when they broke the mold*, the Canadian handled Felix with more aplomb than given credit. In fact, he has some of the better dialogue and exchanges with Connery’s Bond to that point. Even though he looked like my uncle at a holiday dinner. Whether you count the non-EON production Never Say Never Again as part of the OO7 movie experience (I do as it’s a retelling of Bond 4, Thunderball), it had the most remarkable Felix Leiter to that point. 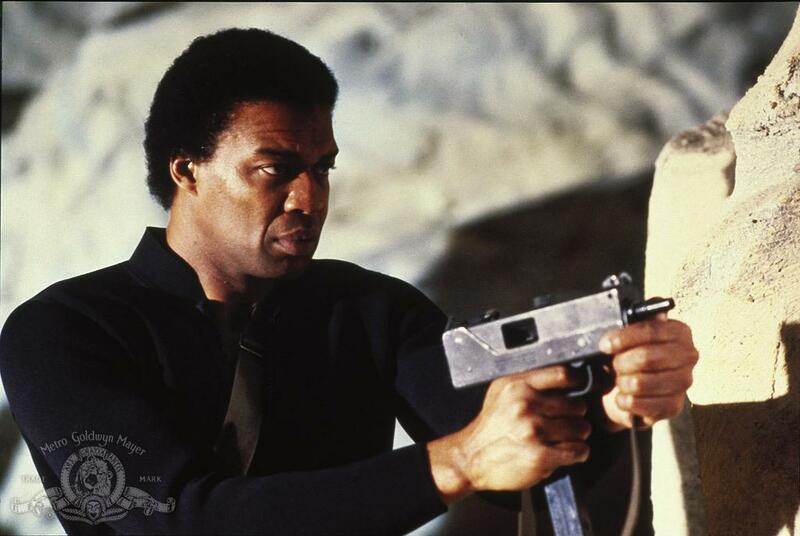 Former pro-athlete Bernie Casey the first African-American to play Bond’s opposite number. Given a larger, more dynamic role than Nutter’s ever was comparatively, he rightly stood out with an enjoyable portrayal. Good chemistry with Connery, too, in his last return. Of course, the one man that gets the most consideration was also the first Felix Leiter to appear on the big screen in Dr. No. No one wore sunglasses, or got punched in the gut by Bond, better than the well-known Jack Lord. The guy had a cool presence, I must say, even if there wasn’t much in the script for him to do. So much so, Bond producers feared he’d eclipse Sean Connery moving forward — if that were ever possible. He’d be dropped from any sequels, natch*. Needless to say, there have been only two actors to do Felix Leiter more than once on film. David Hedison being first. The likeable TV and film actor did the character justice across two eras, in actuality. With Roger Moore in Live and Let Die, and Timothy Dalton’s underrated, Licence to Kill. Worked well with two very different Bond interpretations. For all that, was maimed for his trouble with the latter stint. Who said working as an accomplice with the famed British Secret Service agent was easy? Brings us to the foremost portrayal for the entire series of Bond movies, in my opinion. Likely, the best in acting talent, too. Jeffrey Wright. How else then does Felix Leiter get noticed in Casino Royale and The Quantum of Solace, especially standing opposite Daniel Craig as the current James Bond? Wright is so adept at this, by voice and sheer presence alone, he accomplished what no Leiter had done before. Upstage OO7. Watch him. He draws your attention in whatever scene he’s in. As brooding a character the CIA man has ever been on the page or film. It’s also why Skyfall ranks below Casino Royale in my book — because Jeffrey Wright is not in it. Which says something given the perpetual meager moments devoted to the character onscreen. How ’bout you? What’s your grading of those who’ve been Bond’s American second fiddle? None of them come close to the original description in Fleming’s books. A lanky straw haired Texan with an easy going manner and a tough as nails physicality. In post war France, it makes sense for the American to be a Stereotypical American. His rescue of Bond at the gaming table secured a real friendship, it is one of the things missing from the films but it is totally understandable. The movie needs to focus on one main character. It always seemed odd to me that they had the same actors in the background roles in the home office, and later, Walter Gottel appears several times as a Soviet counterpart to M. Felix however changed from movie to movie. I enjoyed that Hedison came back for License to Kill. That was the most fully developed script for Felix in the series. Jeffrey Wright is a solid choice for the more contemporary stories. The world is a murkier place and the locations and settings have called for a different style of spy. I don’t see his name in the credits for SPECTRE so i guess there will be no CIA participation in the new film. Glad you like Carte Blanche! I think Toby did a wonderful job, I LOVE LOVE his voice 🙂 I think my fave Felix and the one that made the most impact is definitely Jeffrey Wright! I’d love to see him make an appearance again in future Bond films! I would like to have seen Felix in Skyfall too and I think Wright is great as the modern day Felix. I also enjoyed Hedison in License To Kill, I think that’s the most screen time Felix ever appeared in a Bond film until he appeared again Casino Royale. Great post on a not so well known character in the Bond franchise Michael! Thank you very kindly for the comment and the retweet, Ted. Yeah, I too wish they’d bring back Felix and Jeffrey Wright for SPECTRE. He’s a great character that only adds to the recurring cast. Always loved David Hedison, but then I’m an apologist for Roger Moore. What can I say?! Totally agree…Jeffrey Wright is the real deal…and now that you mention it, It figures they wouldn’t let Jack Lord stay on…he’s one of the highlights of DR. NO, which is a Top 5 of mine anyway. And I also just realized, I didn’t see Wright at the SPECTRE shindig the other day…that’s a bummer. Yeah, no Jeffrey Wright for SPECTRE, as yet. Hope filmmakers change their mind. Thank you very much, Paula! I’m going Old School with Jack Lord and David Hedison. Who performed their friend and hand/coat holding roles quite well. While not hurting their respective careers one bit. While Jeffrey Wright delivers the cultured, suave badass Daniel Craig’s Bond needs on occasion to save the world. Or settle an old score. Can’t go wrong with them, Kevin. They’re in the cream of the Felix crop, for sure. Thanks, my friend.